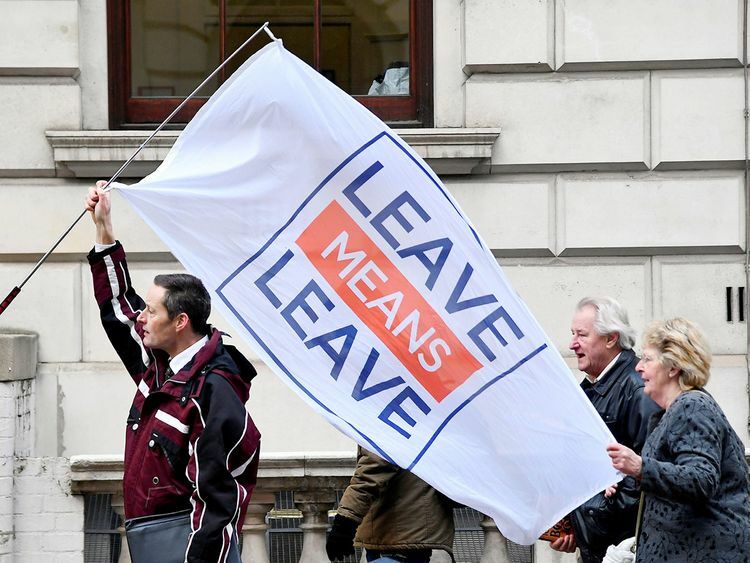 There was much jubilation last week among the crowds outside the Houses of Parliament when British Prime Minister Theresa May’s deal went down to a record-breaking defeat. Yet, we are likely to look back on that moment in future years as a calamitous one for British democracy. At a stroke, the majority of MPs joined together to paralyse the only good government available, make Brexit impossible to deliver on schedule or even at all, and produce in much of the population an utter disgust with their proceedings. Most important of all, wittingly or not, they started the countdown to another referendum. Yes, it is now quite likely that we will have to do it all again. Readers of this column will know that I say that with a heavy heart. For a second plebiscite on European Union membership will be the most bitter and divisive event in our modern history, complete with unbridled anger, accusations of betrayal, harrowing doubt and distraction. It will probably produce only a narrow victory for either side despite a long struggle, and leave a wounded country to limp on afterwards. But it’s coming, unless some extraordinary turn of events prevents it. It’s coming by a process of elimination, not because it’s a good idea in itself. Last week, the best hope of leaving the EU with an agreed plan was decisively struck down. This week, May is shifting to the only other option realistically available to her: To amend that plan with the backing of her party and the agreement of the EU. The hope is that Dublin and Brussels will want to help an orderly exit, and that Brexiteers have belatedly started to realise that they have nearly sunk their own project. If it can be done it will be wonderful, and indeed a solution. But it faces three huge hurdles. One: that virtually all the rebels in Tory ranks would need to unite behind it. Two: that European governments, including those of Ireland and France, would need to agree to it, even when they say they won’t. Three: by next week a parallel process will be under way in the House of Commons with a different set of people trying to take charge, reducing the chances of the first two hurdles being cleared. Several prominent MPs — Dominic Grieve, Nicky Morgan, Yvette Cooper, Nick Boles — are now preparing to seize control of the parliamentary timetable and various options from the struggling ministers. Whether they can agree among themselves, and with a sufficient number of others, to vote for a weaker form of Brexit remains to be seen. Certainly, however, they have the power to prevent, by law, a no-deal Brexit on March 29. One by one, the elimination goes on. The deal as it stands cannot be passed. An improved deal would be nice but is a long shot. A hard exit can be killed off. What about some cross-party agreement on a new plan? May offered this in recent days, but has inevitably had to turn away from it. Jeremy Corbyn would not even talk to her. He is only interested in creating a socialist-led state and is inching nearer to doing it. The most important reason why a cross-party agreement could not work is also crucial to understanding why a second referendum, or general election or both, has now become much more likely. This is that implementing Brexit is not a single event or a matter of winning one vote in parliament on one day. Whatever form it might take, it requires many new Acts of Parliament, covering legal powers over immigration, customs procedures and the like, plus hundreds of regulations to replace those of the EU, and the ratification of dozens of new agreements with other countries around the world. And all the rest of the government’s business, raising and spending money, has to be carried on at the same time. Any plan for Brexit therefore needs a majority to sustain both it and the government over many months — winning votes, planning the timetable and passing laws over a long period. Even if the prime minister could agree to a plan with other parties, they would soon abandon her. It could not work without a national government, and there is neither a consensus for that, nor are our political parties yet at the breaking point where parts of them could form such an administration. What about a general election then, to break this deadlock? The chances of this happening have increased by more than was immediately appreciated after last Tuesday’s vote. But the idea raises formidable problems for the Conservative Party, since their candidates would be standing on the basis of widely varying attitudes as to what to do next. Largely uniting behind May’s latest variant of her plan would be an essential precondition of calling an election. Furthermore, the outcome of an election is anybody’s guess. Corbyn would give in to demands to promise a second referendum to keep his party together through the campaign, and then fight the election on the National Health Service, housing, student loans and the railways. Any outcome other than a Conservative majority would then lead to the further referendum. It will be a tragedy for this country, because as the world economy slows down, the West fragments, and new great scientific and ecological challenges arise, we will have another year of arguing with ourselves. But it’s not hard, after the recent events, to see it coming. William Hague was the UK’s Foreign Secretary (2010 to 2014) and Leader of the House of Commons (2014 to 2015).